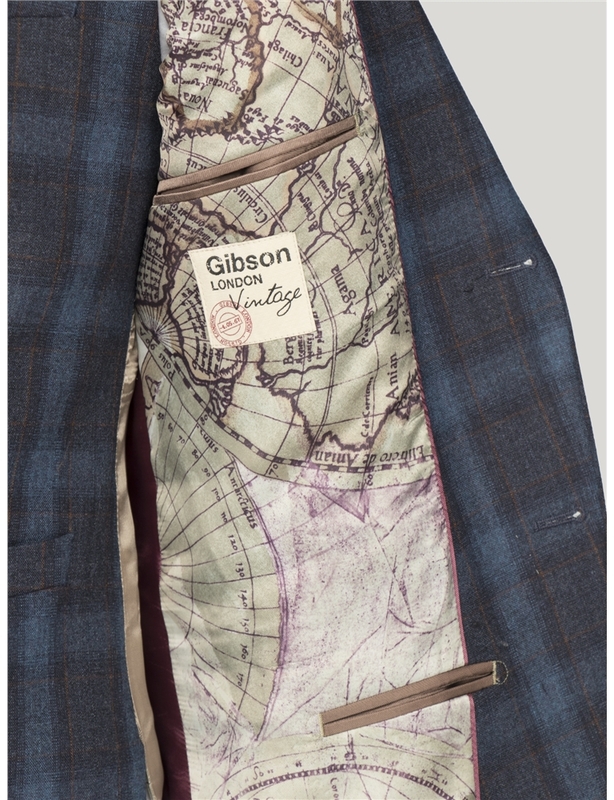 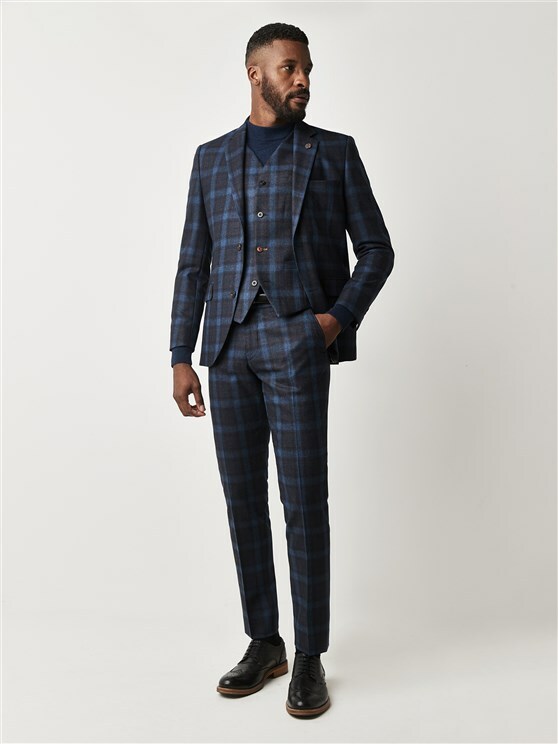 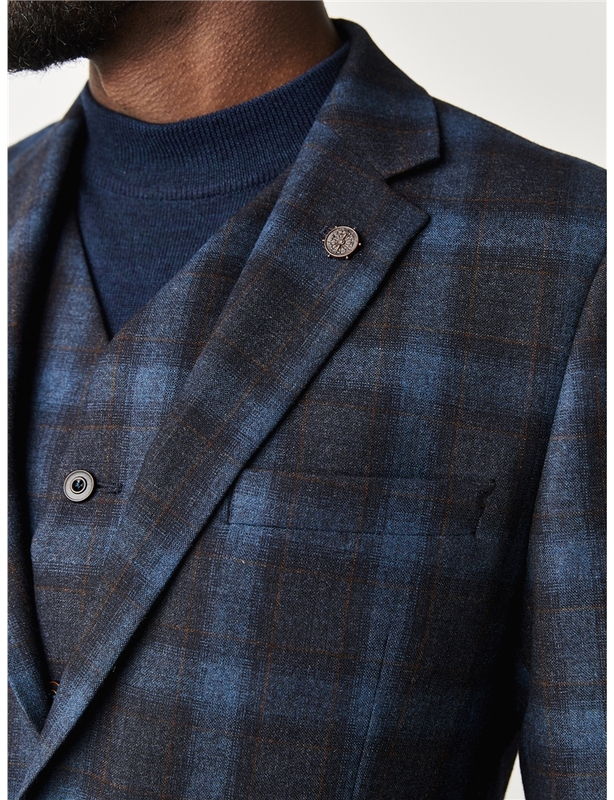 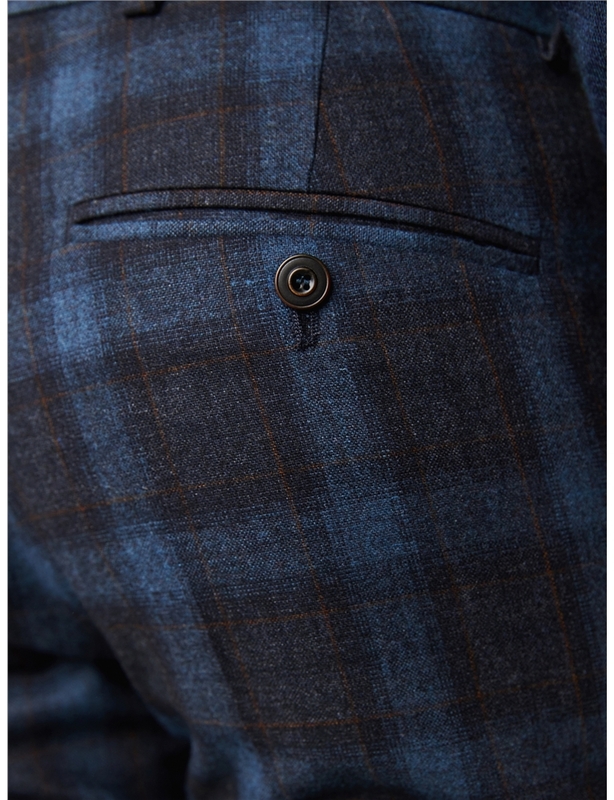 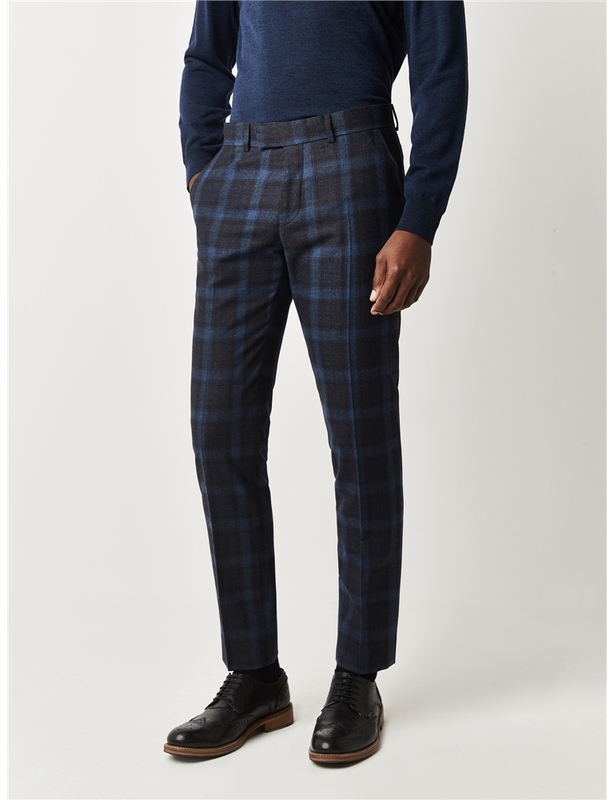 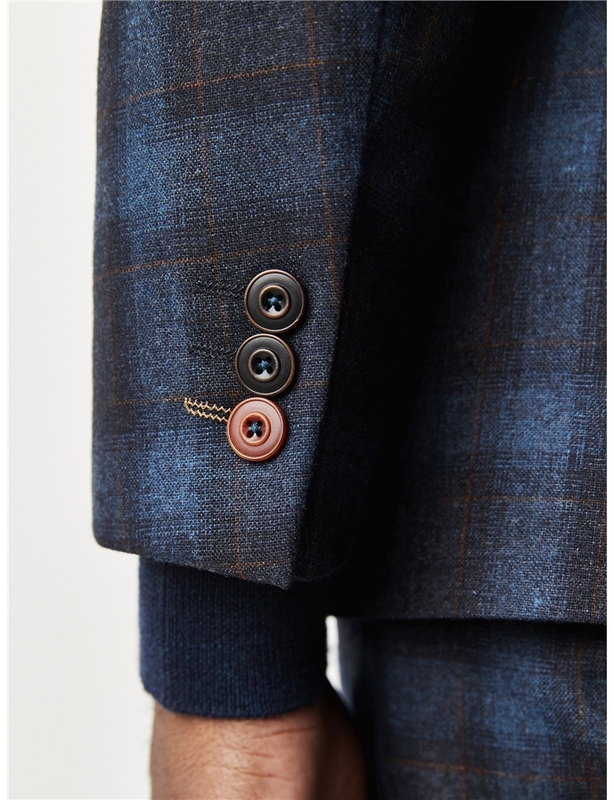 A Gibson view on the classics of Art Deco blues and Tartan checks that brought England to the forefront of fashion, the Gresley slim fit suit boasts an eyecatching blue tartan design that creates a real head turner. 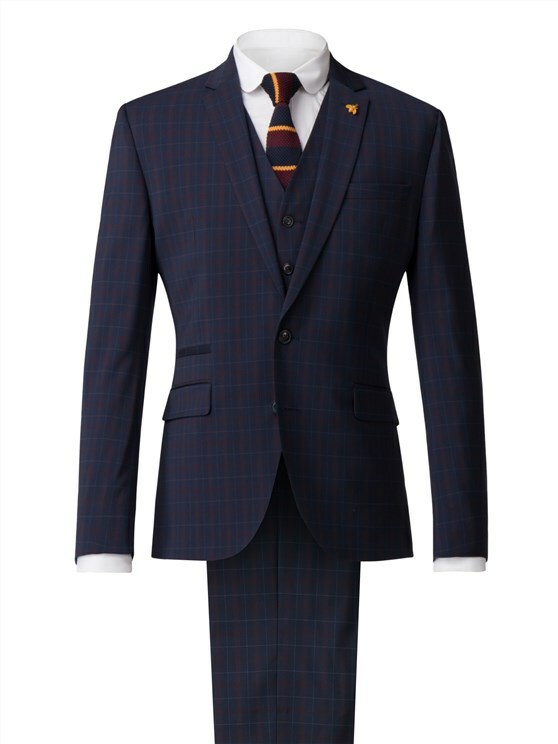 With a teal, navy and soft peach check, this stylish wool rich suit boasts a brushed tartan feel that's timeless and carries the very best of British values, perfect to add a flash of colour to any occasion with a unique character. 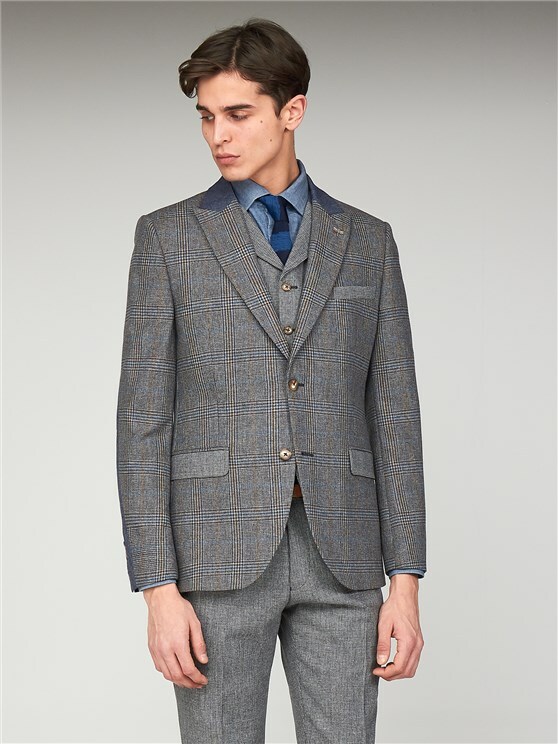 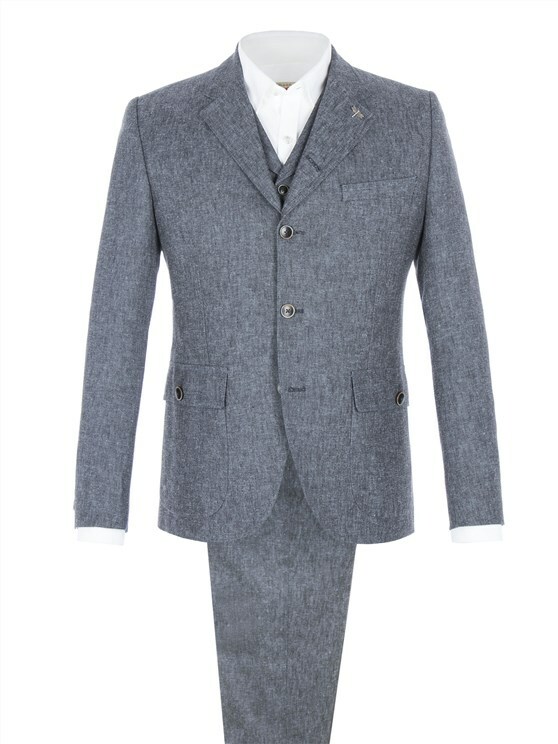 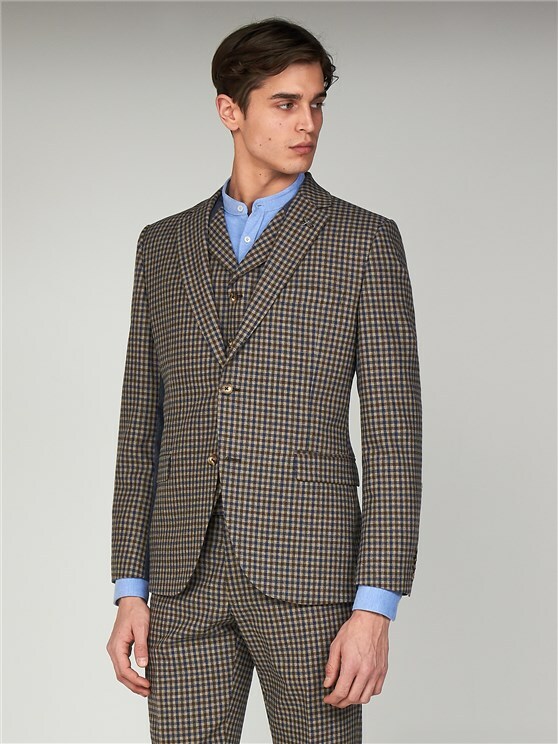 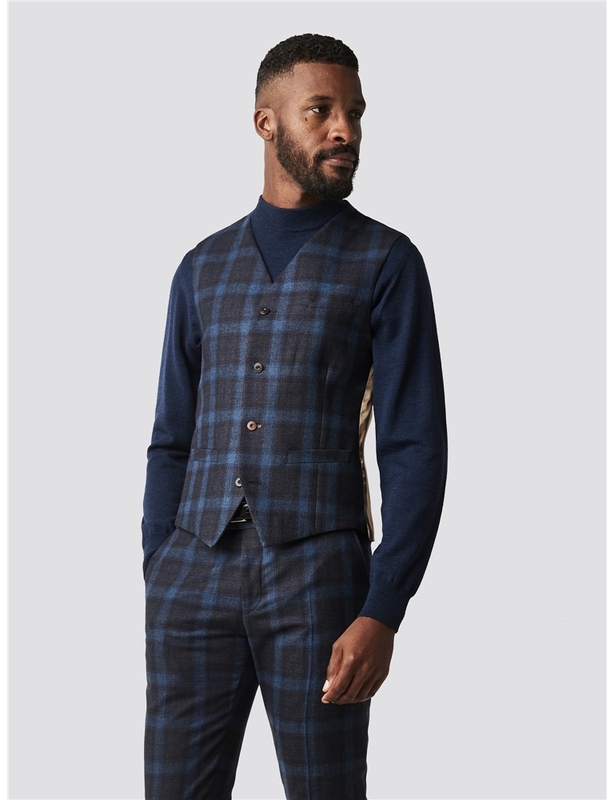 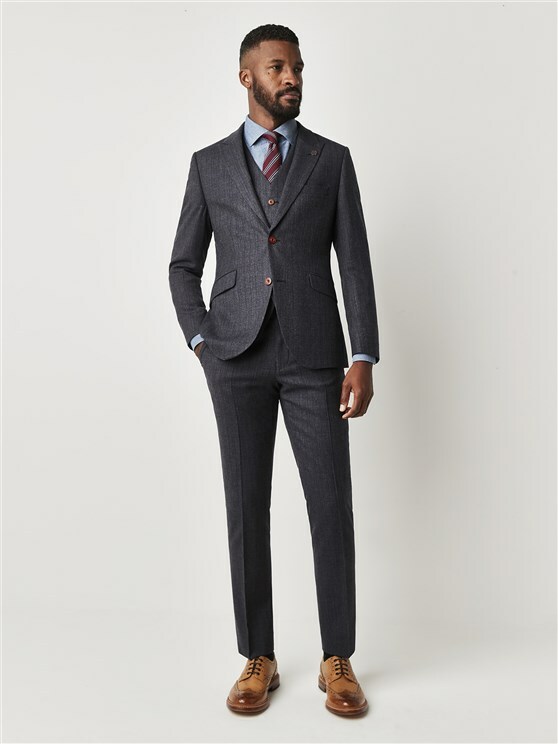 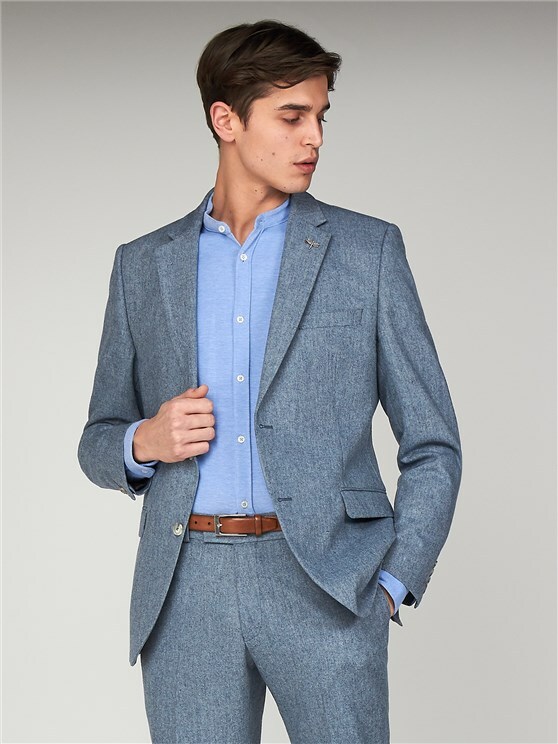 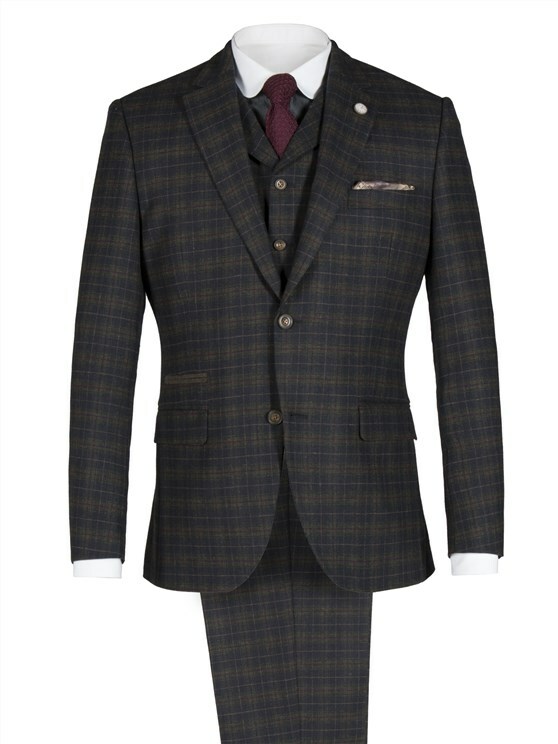 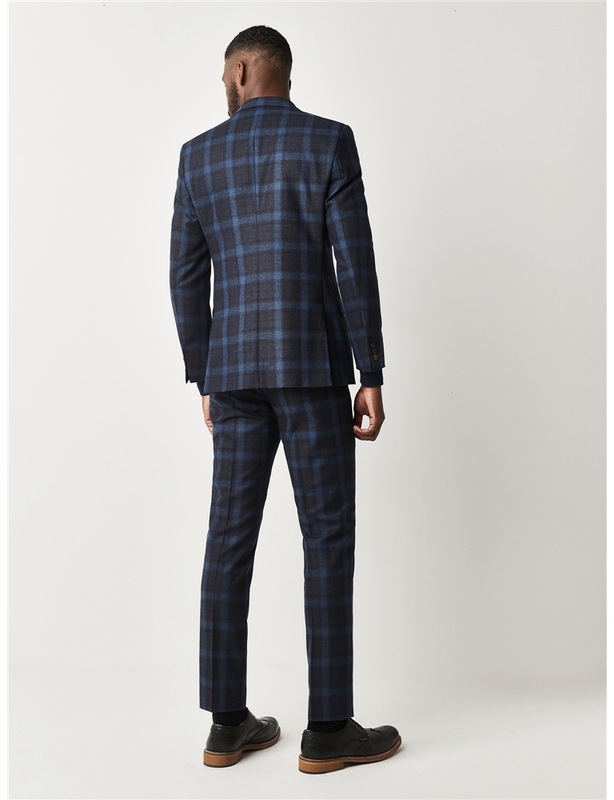 With two button fastening, a pull out tartan and matching trousers, this slim fit suit is an incredibly sophisticated, unique outfit that's bound to impress. 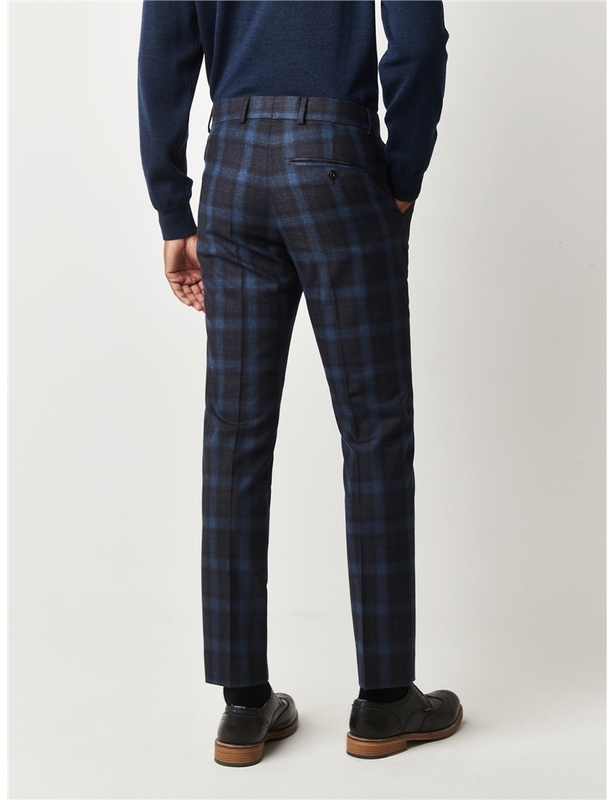 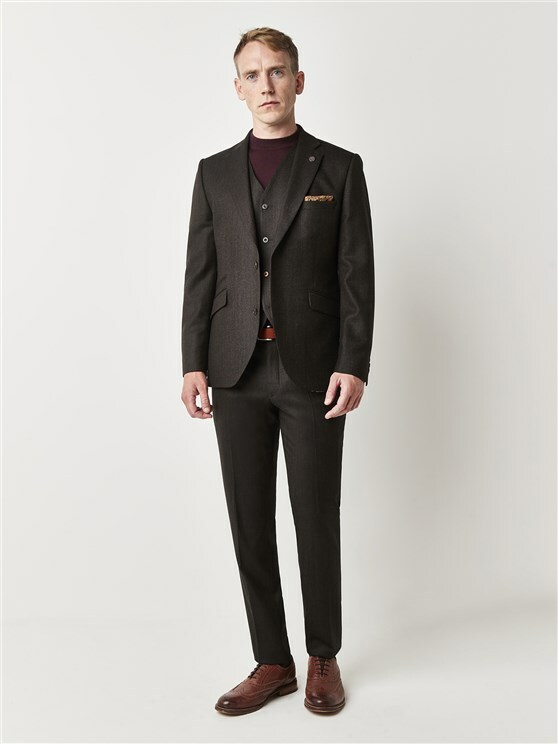 Trousers featre a mid waist, are slim through the thigh with tapered legs and a narrow hem opening.